MHA Co-founder and Chief Executive Officer, Tom Maxwell, spent many years working with customers helping them adopt technology and gain efficiencies.The former Chief Operating Officer and Chief Strategy Officer for HomeCare HomeBase explained, "I was getting daily calls asking for help with utilization, adoption, optimization and interoperability. We saw the gap in the industry and decided to help bridge it." MHA provides complete, in-depth operational assessments to both home care and hospice agencies across the nation. The operational assessment is more than skin deep. MHA identifies opportunities for agencies to become more efficient, cost effective and most importantly regulatory compliant from top to bottom, while adopting technology. "Our objective is to enable all of our provider clients to succeed in an extremely competitive and disruptive health care environment," says Jennifer Maxwell, President and co-founder. "Whether a provider’s business is focused on commercial, Medicare or Medicaid patients, MHA has the know-how and engagement experience to deliver better quality. We will meet healthcare organizations where they are with the services and capabilities they need," Maxwell said. "Some will need us to provide or build core capabilities…also work collaboratively with clients that already have those capabilities in place to help them achieve greater alignment and clinical integration." Maxwell Healthcare Associates describes itself as an elite business consulting firm specializing in the home health and hospice industry. MHA has a laser focus on management and strategic consulting solutions in the areas of compliance, due diligence, financial and clinical outcomes, as well as regulatory services. Leveraging over 20 years of experience and proven outcomes, MHA demonstrates the ability to marry technology and healthcare to their clients, enhancing the care delivery model and ultimately delivering stronger results. Visit their website at maxwellhealthcareassociates.commaxwellhealthcareassociates.com to contact Tom or Jennifer Maxwell and learn more. MHA has hand-picked experts in the field to create a combined knowledge unlike any other consulting team in the industry. 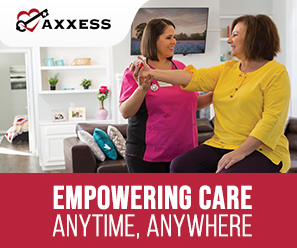 "We are building the dream team," says Maxwell, "We are focused on hiring consultants that not only have experience in the technology focused around post-acute care, but also have the ability and history working on specific areas to deliver the systems, capabilities and management services that providers need to be successful under the new risk-sharing models across the spectrum."